A photograph freezes a moment in time. Even a bad photograph. It is one of the few forms of art that can tell stories without moving across lines upon lines of detail. Yet good photos have so much detail that the human eye instinctively takes in, and the brain understands and translates, that beauty is in its own universal. A photographer, armed with a medium that allows him to tell stories, must then be both creative and practical. Creativity is in seeing a scene where anyone else will not stop to take in the landscape. Seeing a story, while analyzing the foreground and the background, before anyone else sees it. Sometimes, a test photograph is enough. What the eye sees and what the camera captures are two different stories, and what makes a good photograph is in essence, the ability to find the one story among so many that would appeal to the viewer. To be a photographer then is to translate all of life into every picture, and that comes from the simple and complex web of experience. As men, we live our entire lives trying to win the approval of the father figures in our lives. While our mums build our personalities and teach us most things about being a man, it is our fathers that we absorb the most from. They don’t have to say boys don’t cry, they simply show it. They only cry once in their lives, when their mums die, because a man is allowed to cry when he loses the woman who brought him to this world. They do not cry for their fathers because they know the older man, if he could rise from that grave, would smack them across the face and tell them to hold themselves together. So that rolls down across one generation to the next, unspoken and awkward. A father-figure is any man who takes the role of fatherhood, that of provision and security, seriously. Most of the time, father figures teach stark lessons about life in short sentences said to terrorize the wide-eyed boys who would rather live a life with no rules. Most of it ends up being fear or an immense respect. Surprisingly, as one embarks on his journey of fatherhood, and finding a place in life, that existing relationship with his own father becomes a learning board. Suddenly, tough love becomes in vogue with the men in your generation. You trade war stories of how tough your fathers were, how their being mean with their money made you respect it when you got your own. How he once sent you to a remand cell for being hard-headed, or being suspended, and that melted the rebellious coat you’d thought of growing. Every man, whatever his station in life, has a father figure in their lives. It could have been a neighbor, an uncle, or even sometimes, mothers who were forced to play both roles. For Gicigi, that man is his uncle. For me to tell the story of Gicigi’s uncle, you need to imagine a man who looks and sounds like Mbuuugua! from that animated Faiba ad. 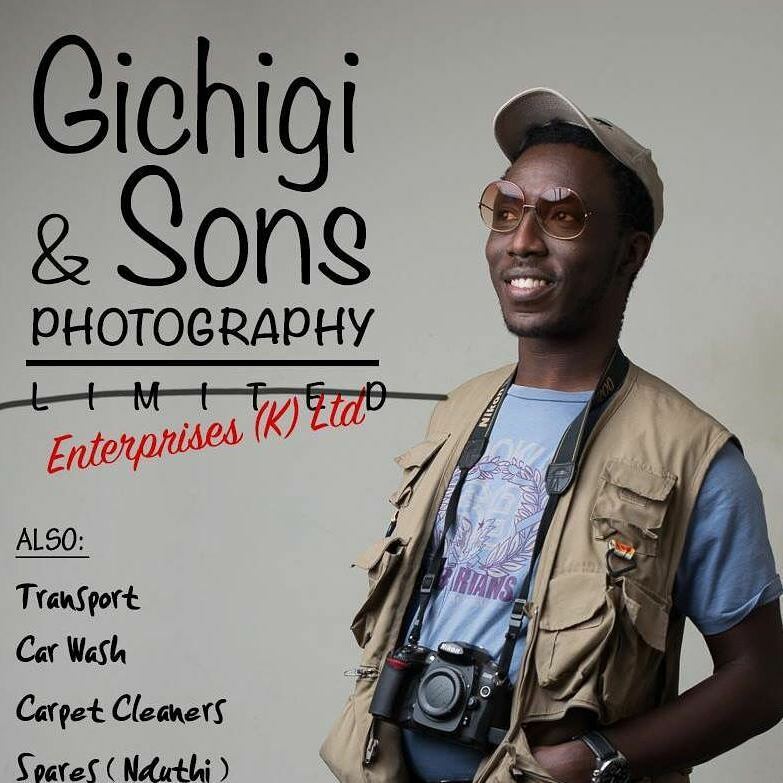 A successful Kikuyu man with a hearty laugh and a brain that works at making everything cost less than it should. He ticks nearly all the boxes of stereotypes about older Kikuyu men, including a Kikuyu palace and old cars. A man who looks like he has spent his entire life making deals, and everything to him, even a relationship with a child, is a deal to be made. You should also, for the next several hundred words, read Gicigi as “Gayshaygay” instead of the urbanite “Geeceegee.” That’s how Gicigi’s uncle pronounces his name, and no story about this man would be complete without the deep throaty sound of a Kikuyu man who has lived and thrived in Malindi starting every line with that name. For Gicigi, that relationship not only provided security and the wisdom of life, it also created immense amounts of comedy. He gets animated when he talks about his uncle, and now we pick his early morning wake up calls like the older man would. He had to learn with the utter aloofness of the man, weaved into his character as a funny sense of stubbornness. What do you say to a man who bundles you into a tour car to high school and then, as he leaves, doesn’t seem to see how 100 bob is not enough pocket money for a whole term? Gicigi! Si nimeripa schoor fees na uniform nimenunua? Kwani nini ingine ya kusoma unatoka? 50 bob note and 50 bob in coins, just in case the places you might need to spend this money do not have change. Once or twice, then you adapt. That was always the lesson. Soon you start saving so you can eat bread once a week, or buy one girl from the neighboring school sodas during the school outing. Sometimes you save for stamps to send her letters. Sometimes you save for jam sessions. Parts of our journey of more than 1200 km so far has been spent sharing war stories of surviving our fathers. Kokan’s old man is less dramatic but no less powerful. The the only one in over 20 children who went to school, success for his only son was not a choice. Like Gichigi, Kokan animates his fathers fast-paced Maasai accent when giving stories about him. How the man once got him from high school to herd the cows from Kajiado. Such stories has made for great comedy, and eased most of what the man who owns the hotel we slept in in Turkana called the rocky road to paradise. He forgot dusty and sandy, but he was right about the paradise part. Both Allan and Kokan are now fathers to young sons, and its interesting to see how, in the middle of the laughter that has defined most parts of this trip, it makes them think of their own legacy to their sons. It is the greatest inheritance we get from our fathers, and we start freaking about it almost immediately we start to try and figure out manhood. These two are urbanites who have travelled and seen life, but when they launch into stories of the men who made them, you get a sense of admiration and respect. They will nail those accents, the way Russell Peters does when he is talking about his father, an Indian man who migrated to Canada. With most men in our generation, the trouble is always how to communicate with our fathers once we emancipate ourselves. Its hard, sitting down with man you only related to over serious things. You felt angry at him for pushing you to find your own money, mostly by cutting down how much he gave you. It seemed heartless at the time, the kind of things that make people suicidal, but after a while you get what he was trying to achieve. Kokan and his father are mates, but as with all fathers the call to meet up often sounds like an order. Gicigi calls his uncle sometimes, and almost always forgets that the old Kikuyu man, set in his ways, doesn’t know he has a nephew he raised called Allan. Ah! Gicigi! Kube ni wewe! Allan swears that happens almost every time he calls. Then they have a 10-second conversation that covers, work, the weather, and family. He tells this story of how he once noticed that his uncle’s fly was down. Any man who notices that about his father will tell you the struggle that follows. It is a moral battle, wondering whether to tell him or not. Images of the tough old man ruling the home like a tyrant, demanding people wake up and warm dinner at midnight, flash through the brain. You feel the fear you once felt for the man, and how almost everything you know as a man you learnt from him, whether he liked him or not. Allan followed his good sense, and told his uncle, quickly and barely audible, that his zip seemed open. His uncle, barely taking in the great struggle that had brought the younger man to that point, said without even looking up Aaaaah hii? Hii irivujika kitaaabo! and went on with whatever he was doing. Here’s the thing. We don’t know how to relate with our father figures after we hit our twenties. In retrospect, they look lost too. Communication becomes even weird now that he cant order you, at least not all the time, and friendship has to be built. You talk politics, the weather, and everything else but life. Once in a while, they ask about what we do, and struggle to understand how anyone pays us enough from photos or words. They listen, patiently, and ask questions about the future, and work, without really asking those questions. For men, the influence of our father figures never ends, whether they are living or not. It becomes the war stories we share, and the points from which we approach our art. For these two photographers, it seems the focus and obsessiveness they have for the camera and the stories they tell was greatly influenced by the men who were present in their lives. Thinking about those men helps them home in on why one keeps going even when it gets really tough.? Hanging out with these two photographers who seem to oscillate between being cartoons and being obsessively focused tells a lot about the men who’ve shaped their lives. In frozen frames, they not only tell other peoples stories. They also tell their own.